Our mountain caribou are gone—but they won’t be forgotten. Wildsight is holding a candlelight vigil to honour the mountain caribou, after the recent transfer of the last females from our southern mountains effectively wiped out the South Purcell and South Selkirk herds. The candlelight vigil, which will take place in Kimberley’s Platzl at 7pm on Tuesday, February 5th, will include remembrances of the mountain caribou from those who fought to save them—and will keep fighting to restore their habitat in the Purcells. All are welcome to honour the caribou at the candlelight vigil (candles provided). Attendees will also have the opportunity to write a postcard to Premier John Horgan, demanding real action to protect our remaining caribou herds. Thanks to Paper and Cup for hosting the action table inside so that you can write your messages to Premier Horgan in the warmth. Only a century ago, mountain caribou roamed the Purcells in huge numbers, but we have lost them due to decades of logging, uncontrolled recreation and our changing climate. After the provincial government recently moved the last two female mountain caribou from the South Purcell and South Selkirk herds, the two southernmost mountain caribou herds are functionally gone. The females will augment the struggling but healthier Revelstoke population, while three males are remaining in the Purcells and no caribou in the South Selkirks. We’ve known for decades that we weren’t doing enough to save our southern mountain caribou herds and our governments’ have failed to stop the destruction of their habitat across the inland temperate rainforest. We didn’t have to lose these caribou, but choices have been made over many decades that have made this loss inevitable. The mountain caribou, one of North America’s oldest mammals, which are listed under the federal Species at Risk Act, rely on old-growth forests in the mountains of British Columbia. Their temperate rainforest habitat, after decades of logging, mining and intensive recreation, is badly fragmented. We can’t give up on caribou habitat in the Purcells and Selkirks. Even without caribou, we need to protect these places from ongoing destruction of wildlife habitat and make every effort for the long-term recovery of this ecosystem. While the two southernmost mountain caribou herds have now been effectively lost, herds to the north are struggling as well. Around Nakusp, the local herd is down to a few dozen caribou, and while there are 150 caribou in a herd north of Revelstoke, the other two herds around Revelstoke are also nearly gone. Further north, in the Rockies and Columbia Mountains, caribou populations are also in steep decline. 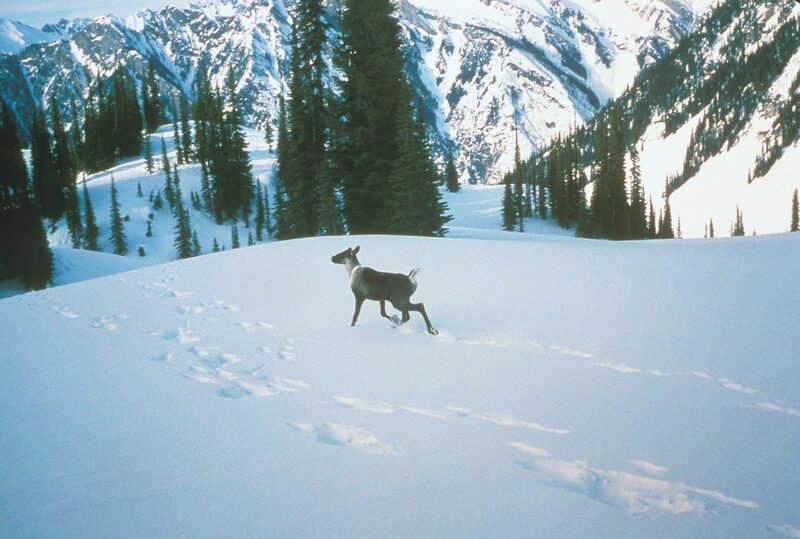 Mountain caribou are the canary in the coal mine for our ecosystems. Caribou are one of the first species to disappear, but we know wildlife everywhere are struggling—and that’s largely down to loss and degradation of habitat. We’ve already lost many caribou herds in southern BC and in the Rockies. How many more herds are we going to lose before our governments take real emergency action to stop the destruction of their habitat?